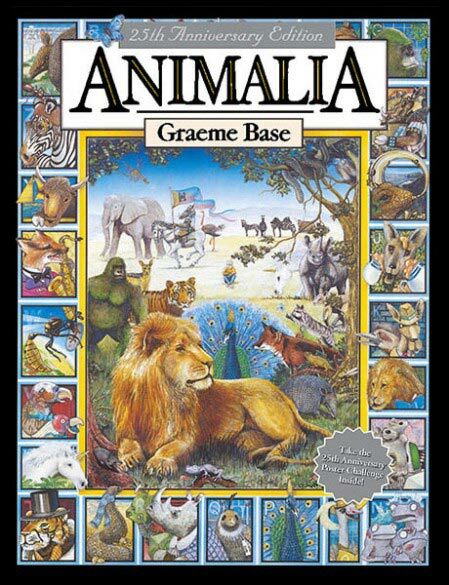 Animalia by Graeme Base is without a doubt one of the most beautiful ABC books ever made! 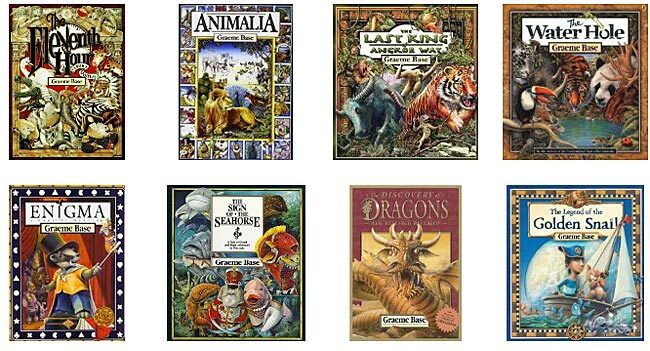 We remember pouring over its pages back when we were teenagers. This book is totally engrossing for all ages and one peek is guaranteed to turn anyone into a Base fan! In addition to the main composition/ theme of the page, each illustration is PACKED with small objects that likewise start with the letter being featured, creating an engrossing 'seek and find' activity with each turn of the page. And for added fun, Base hid a small boy in each spread. This is a book that adjusts to the level of the reader. Older childen and adults will be able to add lute, ladle, and other more 'challenging' words while younger children will simply skip over those objects if they do not know the corresponding word that starts with L.
Below are sample spreads from this book. 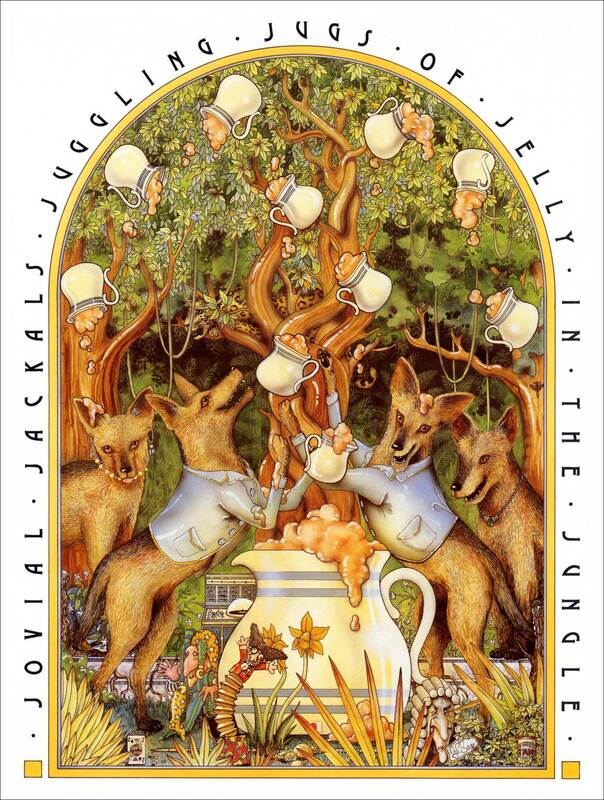 Our small pictures do not do the illustrations justice, but they should give you an idea of the lush, detailed illustrations and the alphabet-letter theme. 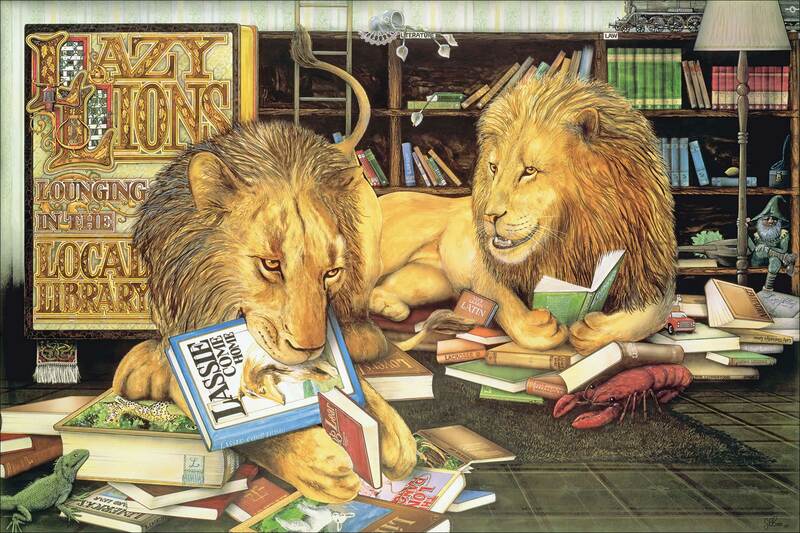 This first spread is of "Lazy Lions Lounging in the Local Library". Kids love searching for additional L-word items, like ladder, lobster, lizard, locomotive, leprechaun, lemon, etc. 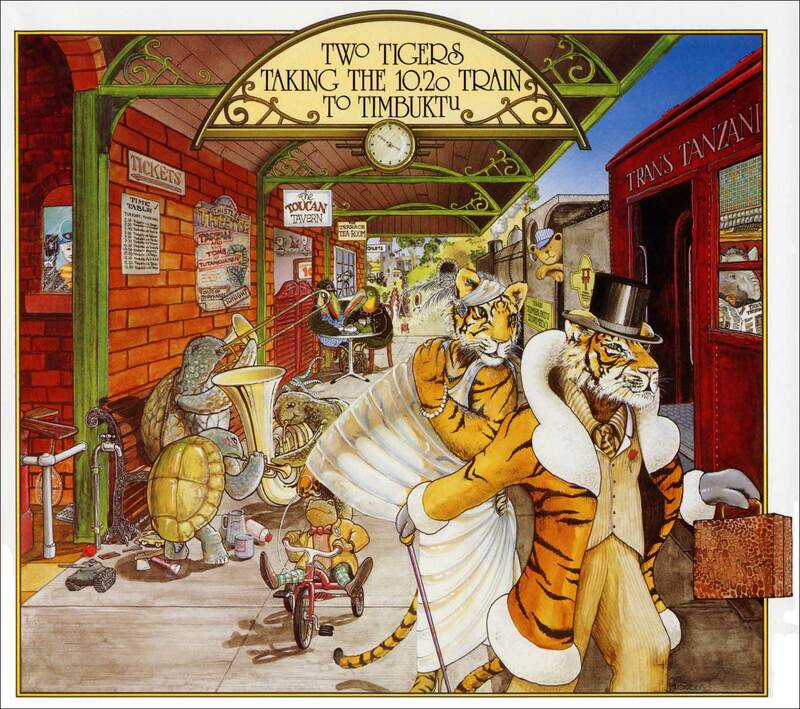 And here are some other Animalia spreads. They aren't nearly as spectacular in this small size. Check it out in full size!! 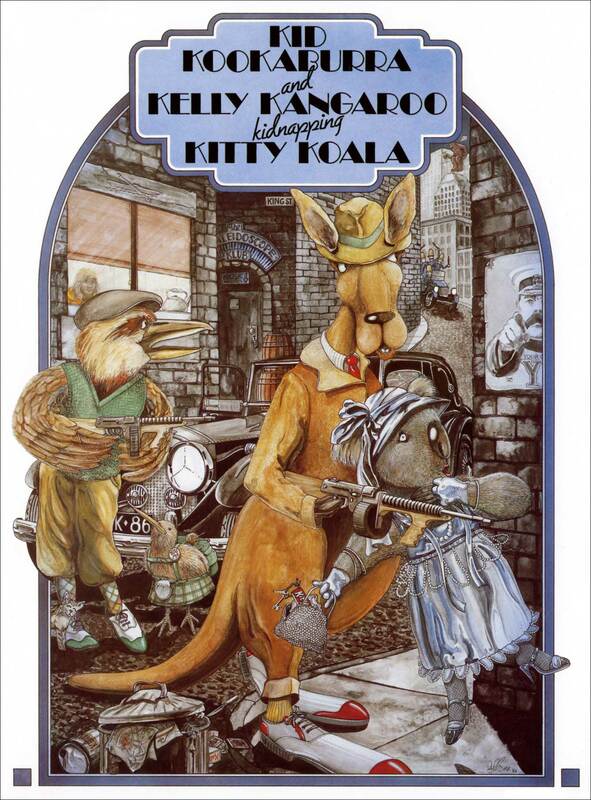 Regardless of grade level, you can base a fun, vocabulary-building activity around Animalia. The key is to have students work in groups of three or four, as working alone will not introduce the student to words that they don't already know. By working in teams, they have an opportunity to learn new words from each other. For a selected spread, have the team find as many words as they can that start with that letter. Each team member must write down each new word when someone in the group comes across it. That way the students have to think about each word. You may want to consider requiring them to make sure it's spelled properly using dictionaries. If you make it a contest or have a reward if a pre-designated number of words is found, that generally gets the students extra engaged. One extra possibility is to have students use a thesaurus for objects that they think may be involved but for which they do not know a word that starts with the right letter. For example, your students may not know that a large spoon is sometimes called a ladle. They could then use a thesaurus to look up spoon and see if there are any synonyms that start with L. Mind you, we have not done this part with students so we are not sure if this adds to the fun or creates frustration. We just mention it in case you want to add it in. If you do, please let us know how it goes.